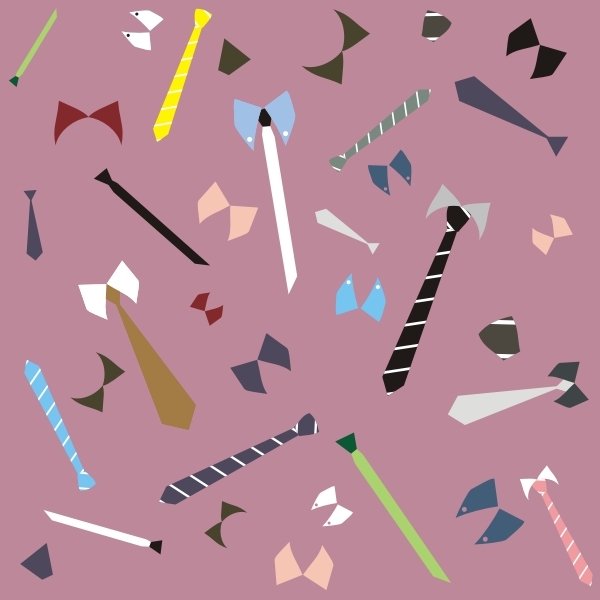 This CorelDRAW tutorial I wanna show how to create different of type ties and collars to be a seamless pattern. We will use some Basic Tool like the 3 Point Curve, the Regtangle tool and modify them using the Shape tool. 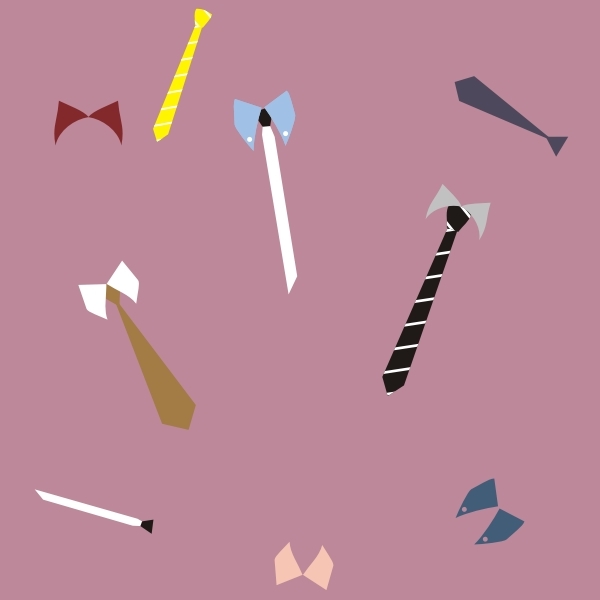 We gonna to create a simple tie. 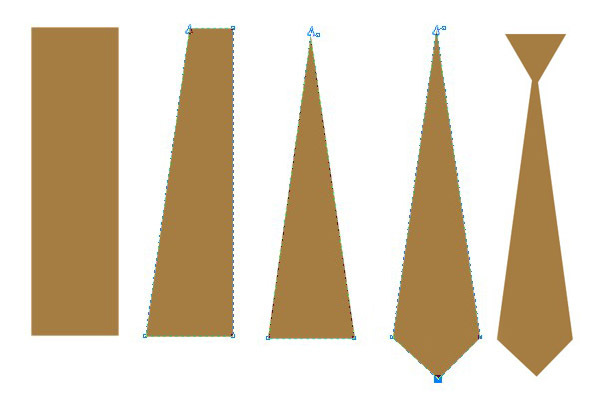 Firstly, we draw the front loop of our tie. 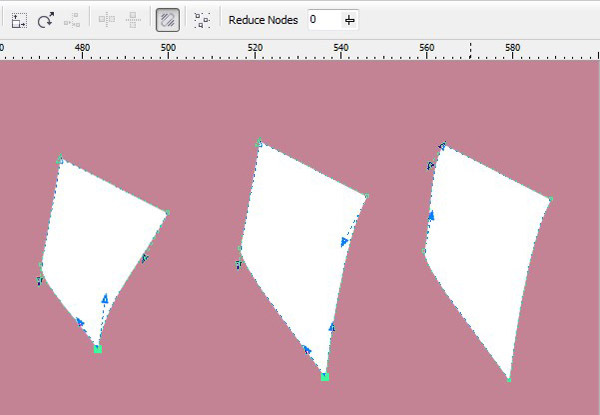 Drag a triangle with the Polygon tool (Y). Set the number of sides to 3 in the Property Bar. Click one of the three nodes then three side nodes will be removed using the Shape tool (F10). Fill the triangle shape with brown color, C= 30, M=50, Y=85, K=0. Hit the Mirror Vertically in the Property Bar. Now, select the Regtangle tool (Y) and Convert To Curves (Ctrl+Q). Combine the top nodes by moving the left-top node into the middle and doing same step to right-top node using the Shape tool (F10). Click between in the bottom nodes and Add Node in the Property Bar. Then drag it a bit down. Set the fill color to brown. 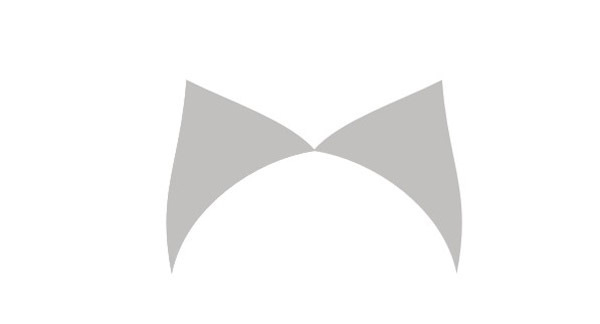 Make copies this shape because we will need it for the next tie. Keep it for a while. Select two both shapes, go to Arrange>Align and Distribute>Align Centers Vertically or click (C) on you keyboard. Select both objects and group them. 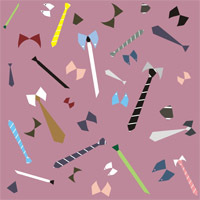 Take the copied of tie and draw the regtangle then select two both with the Pick Tool (see below). Choose the Trim button in the Property Bar. 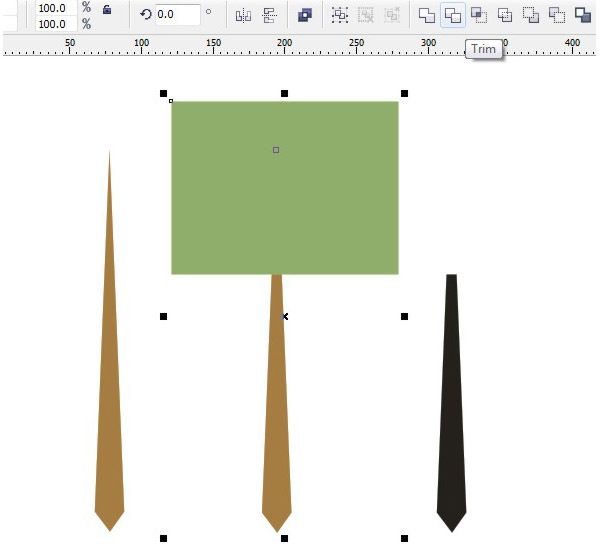 Use the Pick Tool, move the right side to the left ours tie in order to become skinny. Change its with black color. Draw a tiny regtangle. Fill it with white color. Copied it again. Take the Interactive Blend Tool. My number blend is 8 for number of steps between blend steps. Group them together. Set the Angle of Rotation= 120° in the Property Bar. Put it above on the skinny tie. Go to Effects>PowerClip>Place Inside Container. 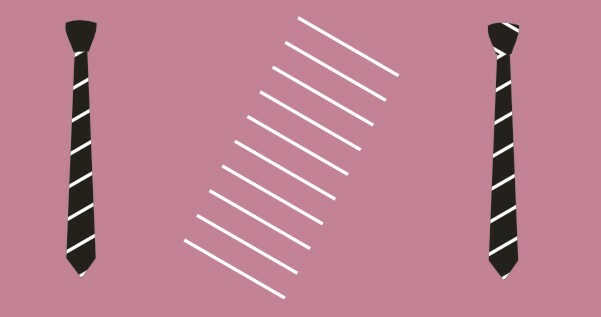 Its stripes for our motif’s tie. 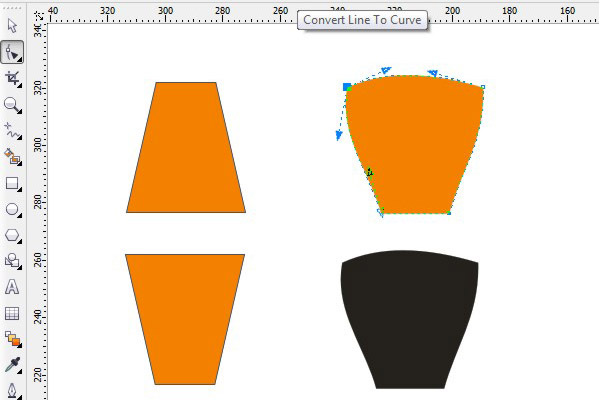 Switch to the Basic Shape tool in the Toolbox and select the second shape from the drop-down list. Drag it into your artboard. 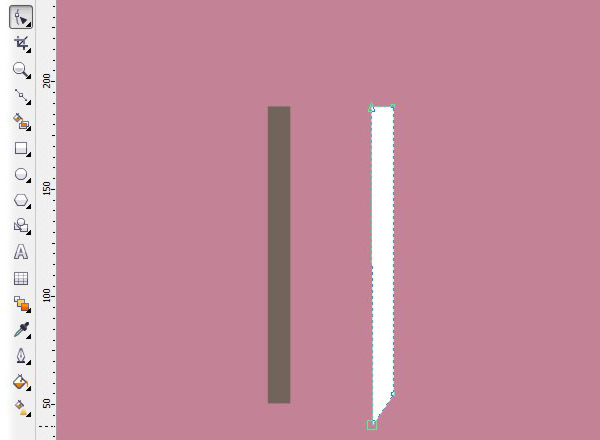 Hit Mirror Vertically. 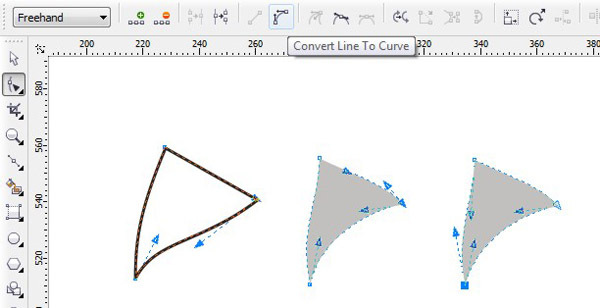 Go to Arrange>Convert to Curves. Drag the handle control like shown below. Set the fill color to black color. Do the previous step to the front loop. Take the Regtangle tool (F6). Click the Convert To Curves button in the property bar (Ctrl+Q). Pull down the left node of the bottom nodes with the Shape Tool (F10). Still the Shape Tool. Adding two nodes (see picture below) under the top nodes with clicking Add Node in the Property bar. Then pull the top node inward like similar image below. 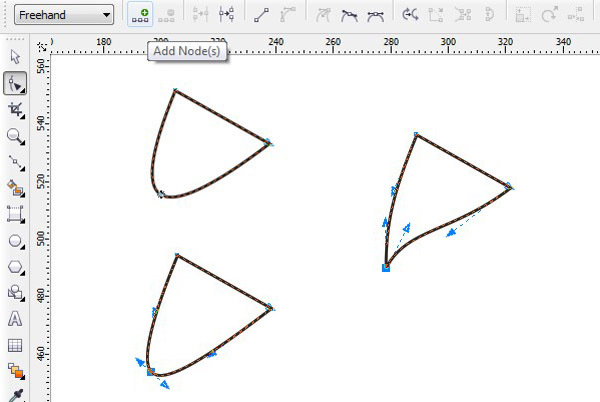 For the front loop shape, pick the Bezier tool. Draw the shape like picture below. Set the fill color with black color and the outline to none. Then placing them like this. Take the 3-Point Curve. 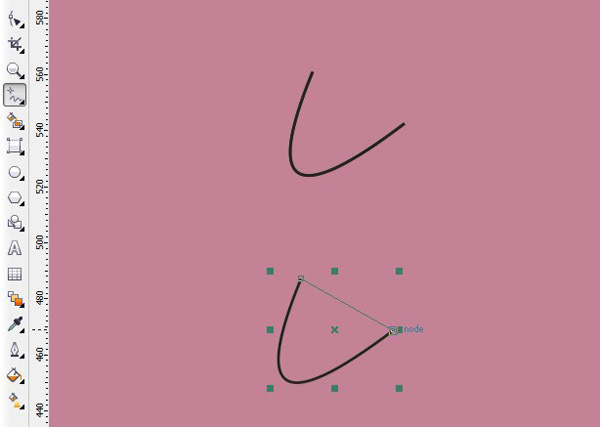 Then use the Bezier Tool to add a line. So it’s a triangle shape. 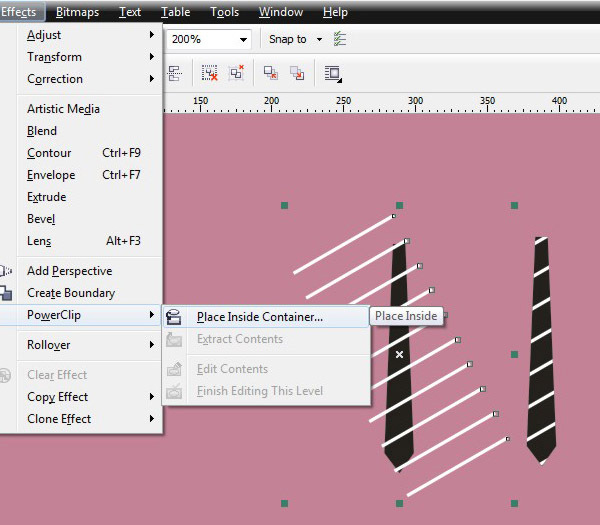 Switch to the Shape tool, click Add Node in the Property Bar (see picture). Drag it a bit left-bottom side. Then click Make Node A Cusp icon. 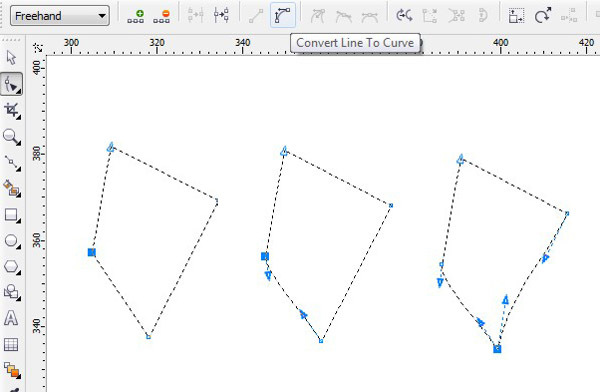 Now click the right nodes and click Convert Line To Curves icon. Modify the shape like this. You can see the handles of node. Fill the shape with 20% black color. Copy (Ctrl+C) and Paste (Ctrl+V). Hit Mirror Horizontally. 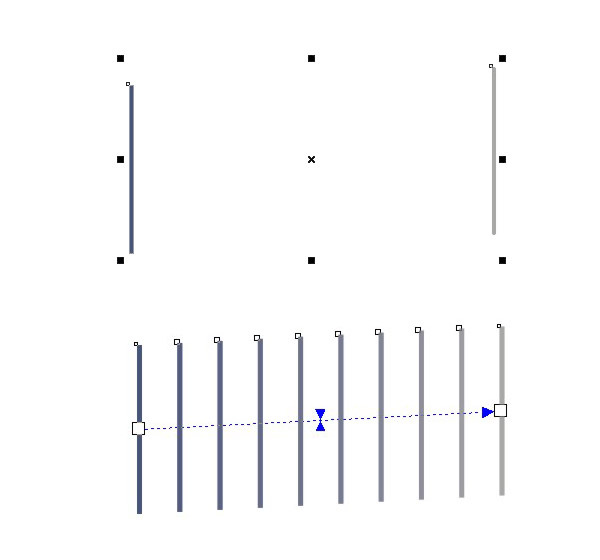 Place them and go to Arrange>Align and Distribute>Align Centers Horizontally (E). Group them (Ctrl+G). Draw a four-side with the Pen Tool or Bezeir Tool. Click Convert To Curves icon (Ctrl+Q). Then grab the Shape tool (F10). Pick the left node and select Convert Line To Curves button. For the bottom node, click Convert Line To Curves and adjust the handle (see below). Give it white color. Modify the handle node like this. Copy and Paste. Hit Mirror Horizontally. Select them and arrange by pressing (E) on your keyboard. Copy this one for the future step. Group them (Ctrl+G). 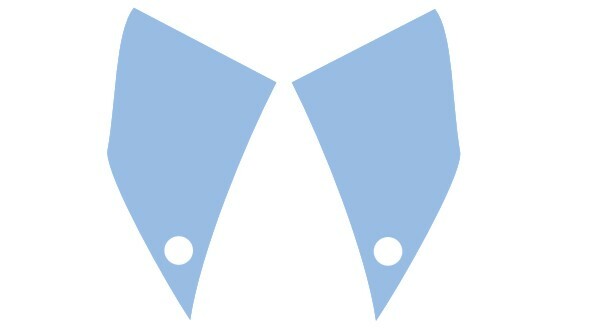 Take copied the Point Collar. 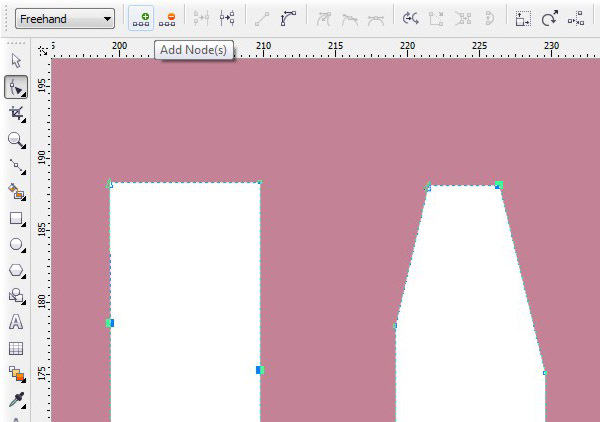 With the Shape Tool, click the bottom node and select the Elastic Mode icon on the Property Bar. Then pull the node to a bit down. Move a bit the top-handle like this. Set the fill color is C=28, M=9, Y=0, K=0. Holding by (Ctrl), select the Ellipse tool (F7). We draw a button. Fill the button with white color. Copy and Paste. Select two objects. Hit Mirror Horizontally. Press (E) key then (Ctrl+G). 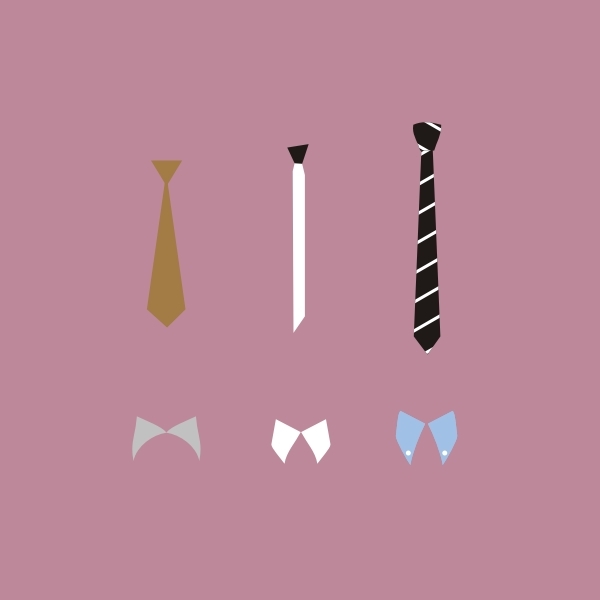 Now you have three ties and three collars. 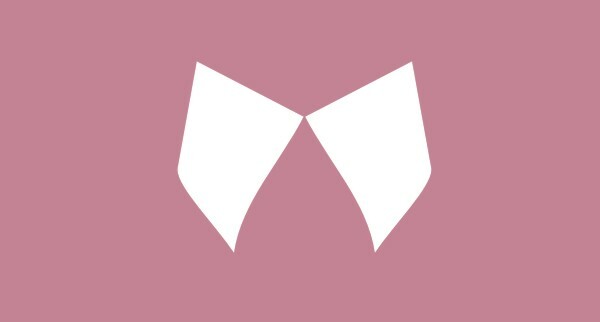 The background color is C=18, M=45, Y=20, K=0. Apply your elements pattern to a large regtangle over your artboard. Place three of your ties and collars like the one seen below. Resize, Rotate and Rearrange elements as needed. That’s it. You well known about many type of ties and collars now. Beside you also can create pattern using CorelDRAW. Please share your creations in the comment section.